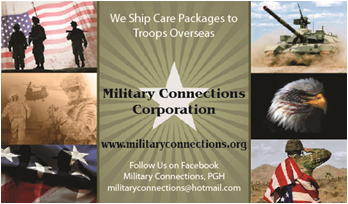 Military Connections, a Pittsburgh based non-profit, ships care packages and vital supplies to military personnel stationed overseas. We have been shipping boxes since 2003. I started Military Connections when my brother, Eddie joined the Marine Corps. Prior to his enlistment I was of the understanding that the military was provided with all of the necessary supplies they needed. We found out when he was getting ready to deploy that was not the case. 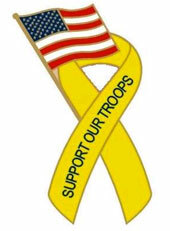 Military personnel are required to purchase their own supplies and equipment. It does vary from branch, but the only item they are guaranteed is ammunition and weapons. I started shipping supplies to my brother and his friends because they did not have access to everyday staples. Word soon spread and Marines were writing me letters and asking for items such as toothpaste, soap, and socks. The PX where they purchase the items in Iraq was not getting enough supplies in and the troops had no way of purchasing supplies. I decided that if they needed supplies there must be other men and women in the same situation and the rest is history! We ship all types of supplies overseas. Primarily we ship food, snacks, healthcare items, athletic socks, magazines, and entertainment items such as DVDs or magazines. Troops are also encouraged to request particular needs. I have never declined a request from a unit and will ship anything that I possibly can to make their deployment as enjoyable as possible. Our organization makes it a point to focus shipments on units that do not have access to the PX. Our Christmas Adoption Project is our largest fundraiser of the year. 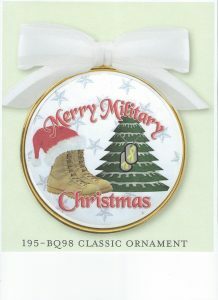 Last year we shipped just over 10,000 Stockings to Marines and Soldiers! The adoption program is a great way to boost morale! My brother returned to the US in 2007 and lives down the street from me. Military Connections will continue to ship care packages and offer support until the last one comes home.